Dr. Simon Lin and his professional team at North Seattle Pediatric Dentistry are passionate about providing attentive, proactive oral health care to children in Seattle. Our skilled teams of professionals serve patients and their families aged infants through adolescence, including those with special needs. Our commitment to educating patients and their parents about oral hygiene in a fun and safe environment will set your child up for a lifetime of optimal dental health and beautiful smiles. North Seattle Pediatric Dentistry opened its doors in December 2013. 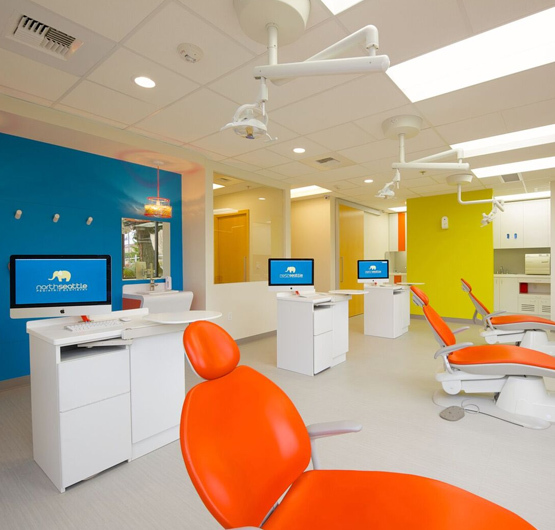 The bright, state-of-the-art facility is built on the belief that children need a place where they can feel safe, encouraged, and have fun while their oral health needs are being met. Dr. Lin emphasizes prevention, detection, and early intervention, so parents have confidence that their child’s smile will stay strong and healthy for a lifetime.